Sennheiser files lawsuits over fake headphones | What Hi-Fi? Sennheiser has filed a first wave of lawsuits against companies involved in the sale of fake models of the company's headphones. The federal lawsuits, filed in the US, target 'a number of internet based pirates and counterfeiters located throughout the United States'. 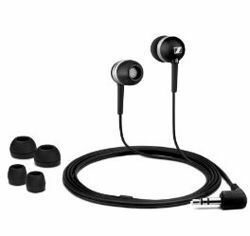 Popular models targeted by the counterfeiters include the CX200, CX300, CX380 II, CX500 and PMX80 earphones. Based on violations of trademark infringement laws, Sennheiser is demanding 'substantial damages'. The company claims to have identified more than 100 domestic pirates, which it plans to target in due course. Sennheiser says it has taken the action after an increase in customer complaints and returns as a result of customers buying fake goods. A website based in China and a US eBay seller are said to be two key sources of the counterfeit headphones. John Falcone, president/CEO of Sennheiser, said: "Customers are urged to purchase only from authorized Sennheiser dealers." There's a list of Sennheiser dealers on the company's website. We suggest you read our exhaustive guide on how to avoid buying fake headphones before you make your next purchase.